It's everyone's favorite day of the month over here on the blog!! The day when a guest blogger visits and shares her craziness by Owning It!! Today, one of my very close friends in blog-land AND the real world is here sharing some funnies...Andrea from Momfessionals!! In this post, Andrea totally owns it and one of the things I love the very most about her is that she does that in real life as well. I have been LOVING this series and laugh so hard every time Erika has someone guest post for her and when she asked me to participate my first thought was, “I’m soooooo not quirky”. But as I started thinking about it, jotting things down and asking Dave about my “quirks” I quickly realized that I am crazy quirky. 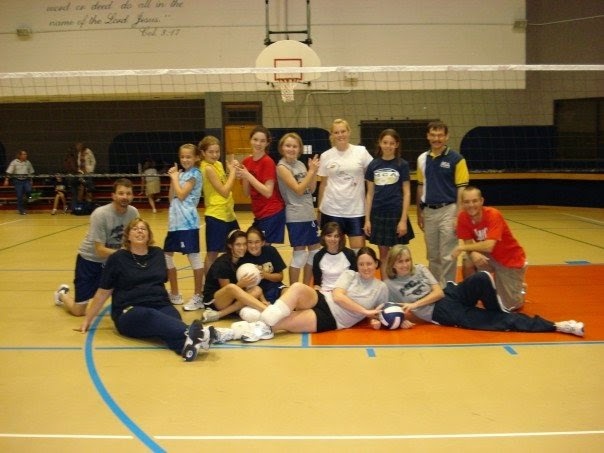 My AMAZING Athletic Abilities…. And by amazing I mean none. I am clumsy, uncoordinated and have zero athletic ability whatsoever. That said, I typically hold a basketball one time a year at our School’s Back-To-School retreat for the staff free throw contest and EVERY year I make it on the first shot. It’s amazing. I’m a sympathetic blusher (and crier). I blush and I blush HARD. If something embarrassing happens, I can feel the heat starting on my neck and moving upward until it reaches my forehead. I start off pink and quickly turn to bright red. In high school I had an English teacher who (lovingly) called me glow worm. ;) The worst part is that I blush on other people’s behalf as well. If something embarrassing happens to YOU…. I blush. If something embarrassing happens to someone on TV… I blush. It’s uncontrollable and totally obvious. I’m also a sympathetic crier. If someone around me is crying I can’t hold back the tears. In many situations, I'm SO thankful you do this. :) That way I'm not the only one turning red. haha! If you have an accent, chances are I understand less than 70% of what you’re saying. I am AWFUL with accents! We moved from Canada to North Carolina when I was in the second grade and my teacher was LOVELY, but she also had a super thick southern accent (not “Texas southern”… “Carolina Southern”). Her drawl was completely foreign to me and I was continually asking for clarification on directions and then got sent outside the room on multiple occasions for talking to my tablemates (I was asking them to re-explain things to me). I told my mom that my problems were that “I don’t understand”, but was too young to explain that I couldn’t understand because I literally couldn’t understand what she was saying. Midway through the year she had a baby, we got in a long term sub who was from somewhere up north, I immediately made a turnaround in the classroom and they were able to figure out that I couldn’t understand her accent ;) Thankfully, after lots of time in the South I can now understand almost any drawl. On another occasion, Dave and I were vacationing in the Dominican Republic and the sweet girl who was checking us in to our hotel was giving me directions and instructions and when she went to get us our key I turned to Dave and go, “I have no clue what she said… my Spanish is horrible!” and he goes, “Andrea… she was speaking English”. And in case you missed it – one of my most embarrassing moments EVER revolves around my inability to decipher accents. So if you’re looking at my pictures and see a weird floral pillow – that’s why. My desire to never hurt anyone’s feelings runs DEEP. I am a total pleaser and I am aware that I’m a pleaser. I HATE the thought of anyone being disappointed in me or even worse the thought that I've hurt someone’s feelings. When I was in Elementary School and I would be invited to a sleepover my mom would tell me that I could bring one stuffed animal with me. I had a favorite bear, but I didn't want my other animals to get their feelings hurt, so before a sleepover I would take all my stuffed animals into my closet to play “tea party”. I would play for a few minutes and then I would sneak one out of the closet, shut the doors and loudly announce that I was running downstairs to get something. My stuffed animals were left unaware that I was taking my favorite bear with me and I wasn't left feeling guilty. I’m a hot mess. Hot tea makes everything better. Seriously though. Hot tea makes EVERYTHING better. I don’t drink alcohol (no really… I’ve never drank anything alcoholic…. I have nothing against it, I’ve just never really had a desire to, maybe because of hot tea??? ), but when I get home after a long day I want a cup (or four) of tea. I blame my Canadian/British roots, but I’m obsessed. I’m really particular about my tea – it has to be extra hot English Breakfast tea (a black tea) with a splash of skim milk and a sweet and low. I’ve tried peppermint, green, oolong, earl grey, etc. and none of those can compare. I drink it even when it’s 110 degrees outside. I love hot tea. Is it crazy that I've NEVER had hot tea?? Maybe we should plan a tea date? I hate seafood. All seafood. I have NEVER liked seafood. EVER. Really?? You think the seaweed has a fishy taste? I've never tasted that before, but now I'm going to be REALLY thinking about that little piece of seaweed! I read when I blow dry my hair. I'm going to need Dave to take a picture of this in action!!! You can read Kelly @ Kelly's Korner HERE. You can read Olivia @ Snyders Tell All HERE. You can read Narci's HERE. You can read Kelly @ Redhead on the Run's HERE. You can read Shay's HERE. Hahaha this is hilarious!!! I thought I was the only one who hated ET!!! I think the flowered pillow is my favorite! Now, I'm going to be looking at it in the background of pics :). Such a fun post girls! Love you!! I think the whole seafood thing-"if Dave has fish he knows he won't be getting even a peck until the next day" is my favorite hahaha! Love all of these! This is great. I love that you steal the pillow back from Mason at night. I did that with my nephew and my bear when he slept at my house haha.... and reading while drying your hair is talent girl... Dave def needs to snap a pic of that! And I'm with ya on hot tea...it's the best thing. I love Tetley's British Blend or PG Tips! I totally agree on the seafood quirk! My boyfriend loves sushi, but it just makes me gag. The only seafood I eat is tuna and fried cod fish. Love your post! I also love hot tea. My family can't understand why but I just do. Maybe it's the warmth going down. And I can totally relate on being fair to my stuffed animals. When I was younger I rotated who I slept with so their feelings don't get hurt. I also read while blow drying my hair!! I too just use my fingers, and I can't imagine it any other way! Oh my gosh, love this! I could easily have written some of this myself! I'm terrified of ET, have crazy thick hair, blush all the time, and hate seafood too! Your crazy sounds just about right to me! Very funny post. I also have thick hair and my face always turns red from being hot! Pretty sure this is my fav Owning It post....so funny! The stuffed animals had me dying laughing, hilarious and I loved all the rest too but that one seriously made me cry! Cracking up all over again thinking about the Ba-nanas. And the riding helmet story..oh my goodness. So much love for Lurlene McDaniel, I think I read everyone of those books between the ages of 14-20. Also, I totally did the same thing with my dolls and Barbies. I would set up a nice meal or tea party and then when I was sure they were distracted I'd excuse my favourite to "get more tea" and then we'd leave and go to a sleepover where she got to play with my best friends Barbies! I LOVE seeing that other ladies around my age hate ET also! I mean seriously!!! He is soooo creepy!! My parents took my brother and I to the theater to see it, 10 minutes in my dad had to carry me out. 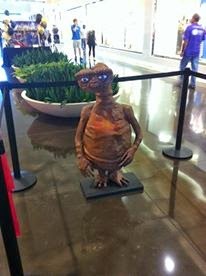 To this day if I see ET I want to throw up! Hahaha I LOVE these! Such a fun series! Andrea I can really relate to your turning red and getting embarrassed for others. One time our pastor called out 2 girls who were talking near the front row (we go to a mega church so this was a big deal) and I turned beat red for them...it wasn't even at our physical campus and I was so embarrassed for them. I too am a people pleaser and cannot understand people's accents to save my life. You should see me at the nail salon. It's like that Anjelah Johnson nail salon video. One time the girl asked me if I wanted a Deluxe or Regular pedicure and I answered "I know. It's been a long time since I got my nails done." ?? My friend died laughing and corrected me...so embarrassing! Loved reading your post! This is hilarious! I also read while I blowdry my hair! I set it on the floor when I flip my head over and on the counter when I come back up. Hah! So glad other people do that! Oh my goodness I'm terrified of ET too! The other night there was something on instagram with ET in it and I told my husband about my ridiculous fear and he thought it was hilarious. I also hate any and all seafood :) thanks for sharing your quirks. We have many in common! I am absolutely terrified of ET!! Also I loved the Lurlene McDaniel books! I love these posts! I can't eat seafood since I'm allergic to it, but I don't think I'd like it. Just looking at shrimp and crab and all that stuff makes me queasy. I have never heard of anyone reading while drying their hair (unless it's at a salon). I don't get the chance to read very much, maybe I need to give it a shot! I love that you didn't want to hurt your stuffed animals' feelings! ha! totally something i'd have done as a kid. How funny! I read when I blow dry my hair too! I have super short hair but I always read my blogs or facebook! or the newspaper that my husband leaves out for me each morning! I, too, am a distracted dryer! It takes forever to dry and I will read, squat, clean (I have a long, long cord on my home dryer) most of the time then only actually brush and dry for about a minute in the mirror! Although, I've become just a Saturday night dryer-church hair...so I'm behind on my reading. This was a fun post to read! This was so fun! !I thought I was the weirdest person in the world because I have ALWAYS read when I blow dried my hair, too!! So glad to hear I'm not the only one :) and the blushing thing? Yeah, ain't no way for me to play off being embarrassed...my face gives it away every time. I feel like I am literally radiating heat. And my face doesn't just turn red when I'm embarrassed it will turn red when I'm suddenly put on the spot - I hate being the center of attention! OMG I am terrified E.T too!!! I had the exact same experience as a child and was always scared to check behind the shower curtain because I thought he was going to be in there or in my closet or under my bed! 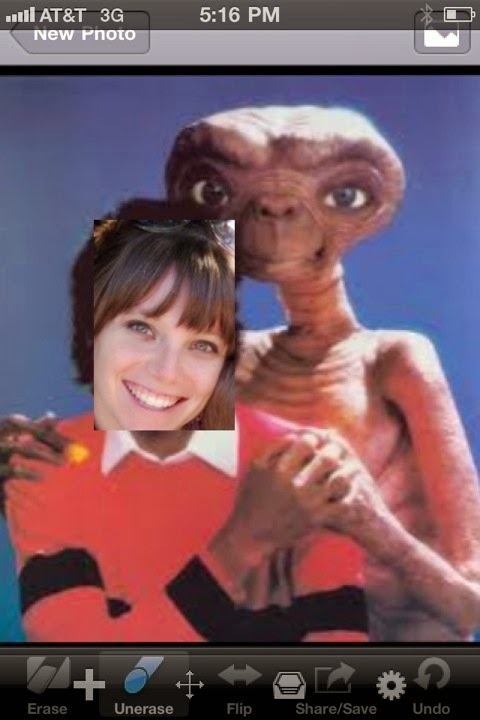 My roommates in college once printed out about 100 pictures of ET on April Fools Day and posted them all over our dorm room...in my bed, in all of my drawers, in the shower, and the worst was when I thought I had taken down all of the pictures I went to class the next day, opened my binder and there he was...a picture of E.T! I just about lost it in my class!